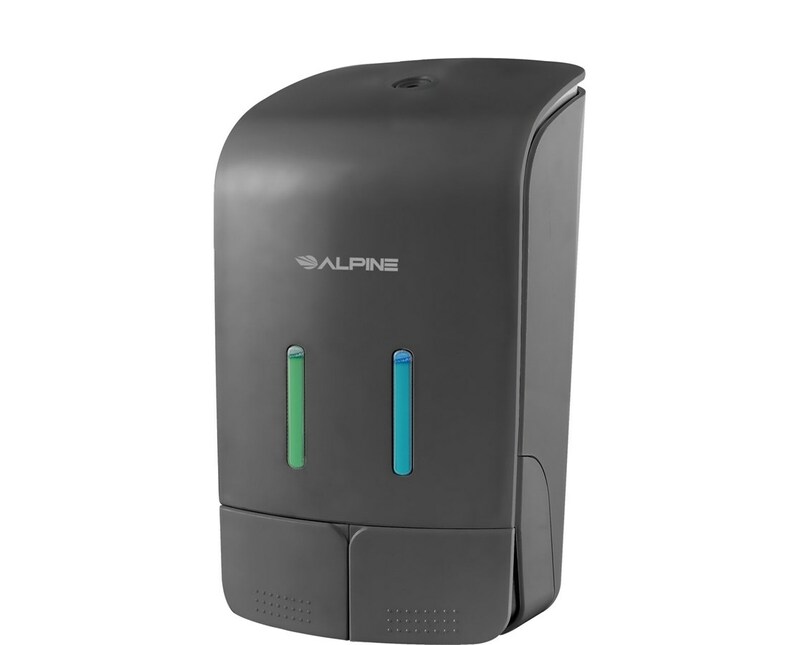 The Alpine Double Soap & Hand Sanitizer Dispenser is a multipurpose dispenser that offers both soap and sanitizer in one dispenser at the same time. This type of dispenser is ideal for restrooms in restaurants, offices, hospitals, schools and other commercial establishments. It offers two separate vertical tanks for both soap and hand sanitizer that has a capacity of 18.5 ounces each tank. 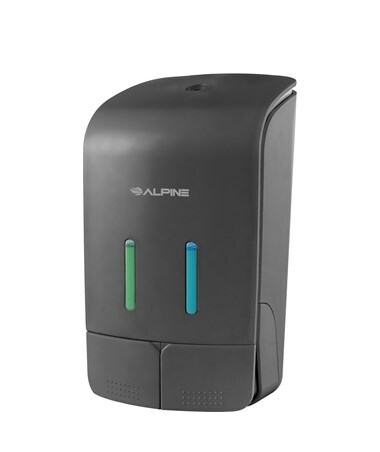 The Alpine dispenser valve is compatible to use with all commercially-marketed all-purpose hand soaps. For easy content identification, it includes a soap and hand sanitizer sticker. Also, refilling is easier with its clear window on the front part of the dispenser. Plus, it includes a lock to avoid vandalism and product tampering. 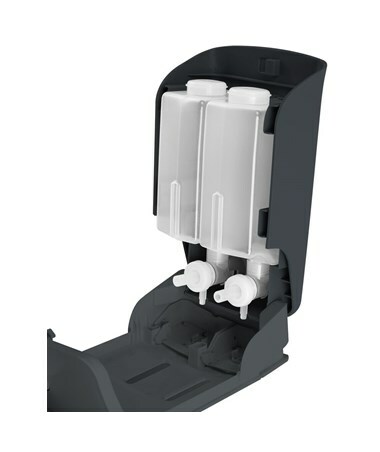 This gray-colored dispenser is made of a durable ABS plastic material. Also, it is vandal-resistant. It is lightweight at 1.3 pounds and has a size of 3.7” D x 5.7” W x 9.8” H. In addition, it offers a one-handed operation and is ADA compliant.